From the minute I drove up to the scene, I knew the fight was over. You didn’t have to be in the business for years to see an open-and-shut case. I just didn’t want to be a part of the fallout that came with it. You don’t knock off the Witch of East End and not expect repercussions. The Little Folk took kindly to the news. All yammerin’ and whisperin’ from their hidin’ holes. They couldn’t believe the roughest, toughest woman of the East had been killed. All by a house, no less. I wouldn’t have believed it myself, except here it was: An out-of-towner house of cards blew in, smackin’ the queen of the midgets flat to the earth. The House always wins. You could see her mean-eyed corpse turnin’ green beneath the new-flung porch. She’d fallen to her death. A dramatic do in after a cyclone of a turf war. The porcelain princess in front of me was all pigtails and sweetness. Her velvety ringlets danced in delicate twisters. She had the demeanor of an eye of a hurricane: Peaceful-looking but hinting to a world of devastation. I had cued in on her from the start. She would be a syrupy dollop of trouble, of that I could be certain. “An act of God. You saved these little fellahs a hard life. You should be grateful,” I added in my classic deadpan. Some men found my voice enchantin’, sultry, but I didn’t give a care. All part of the life of bein’ a female Emerald City Investigator. A cacklin’ shriek burst about the crime scene like gunfire. Speak of the devil, as they say. There she stood, a long sip of vinegar in her black satin dress. She had killer looks, and looks that could kill. All the poor Joes who called on her became regular flyin’ apes, dancin’ to do her dirty work. She came to crash the parade before it could begin. A regular jinx of a minx. “WHO KILLED MY SISTER!” She squealed. The fire in her eyes told me it wasn’t much of a mystery. “WHO KILLED HER!” Nails on chalkboard sounded like a lover’s croon compared to her shrill speech. I knew it was goin’ to get ugly in the City. I better warn the Mayor. He’s a real wizard in these sorts of situations. She vanished from the scene like a puff of smoke. Miss dove soul melted into a pretty waterfall. I noticed she stood in drab shoes and all pathetic, lookin’ more in the streets than any of these workin’ class shorties. I collected the platinum pumps off the corpse. Not like she’d be flashin’ down Goldbar anytime soon. Doll face gave me a sheepish grin, revealin’ a surprisin’ glow. I had a good feelin’ about her. 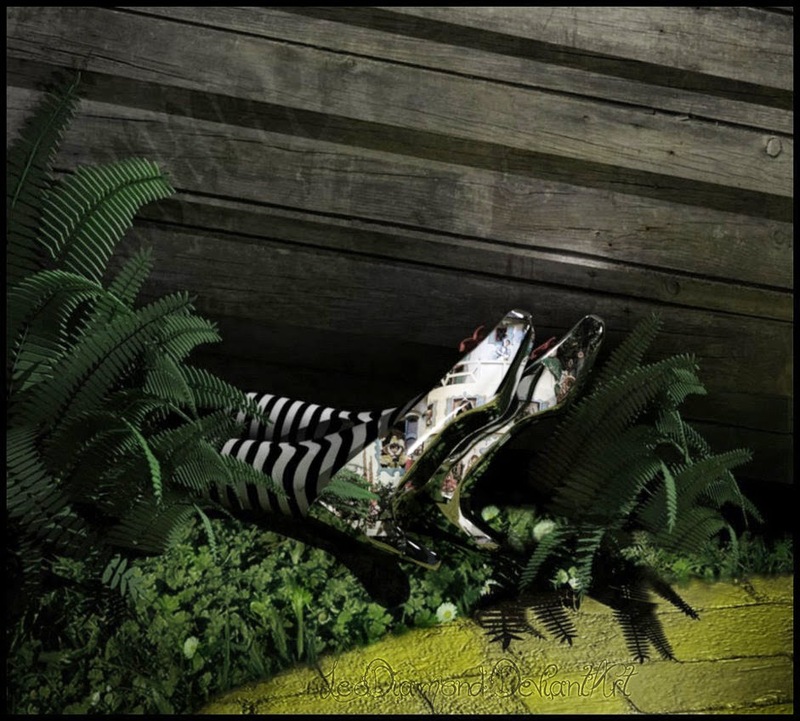 Little did I know she would turn all of Oz upside down. The above story is a genre twist based on fans' votes for our Monday Mischief. 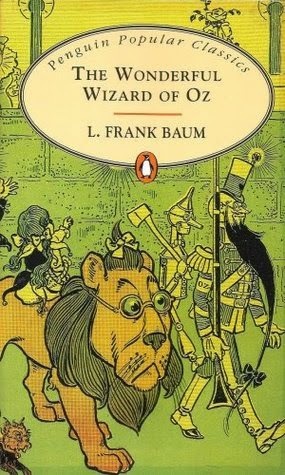 It is based on L. Frank Baum's beloved, Wizard of Oz! Did you enjoy it? Tune in for more Monday Mischief!